True self-expression begins by understanding just who oneself truly is. Sara Yacobi-Harris is on a mission to do just that. Sara turned to documentary filmmaking to uncover truths about herself and her community. In 2016, she created a documentary called Who is a Jew?, which explores Jewish identity through the lives of five multi-ethnic Jewish individuals. 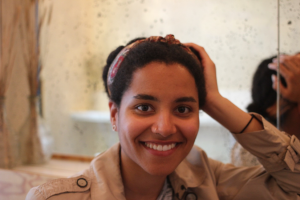 Sara Yacobi-Harris currently works as an executive assistant at the CBC in the Unscripted department. On the side, she is a content creator and has produced the documentary film Who is a Jew?– an exploration into the lives of multi-ethnic Jews. Learn more about Who is a Jew? here!